A garden with fall foliage. Did you enjoy caring for your vegetable and flower gardens this summer? With fall just around the corner, are you wondering what you need to do now to ensure healthy trees and gardens in the spring? If so, we have the perfect event for you! 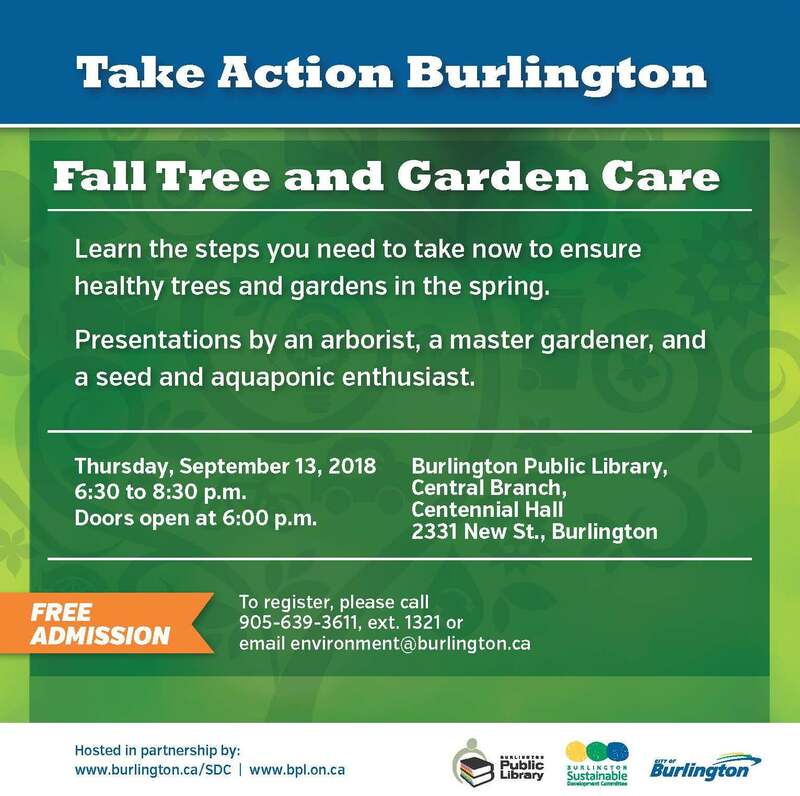 The Burlington Sustainable Development Committee (SDC) in partnership with the Burlington Public Library (BPL) is hosting an event on tree and garden care. There will be three presentations, each focused on a different aspect of plant care, with plenty of time dedicated for questions and answers. what’s happening with pest threats impacting our local trees. 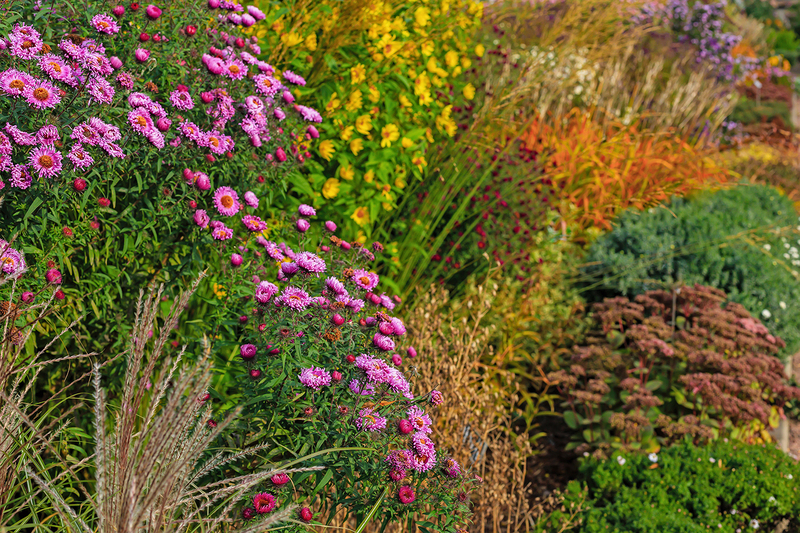 why you should postpone your fall garden clean-up. information about the BPL’s seed library. In addition, there will be displays by Halton Region Master Gardeners, Burlington Public Library and the SDC. Fall Tree and Garden Care Event promotion. Please email environment@burlington.ca, register online at attend.bpl.on.ca/event/1023207 or call 905-639-3611, ext. 1321 to reserve your seat for this free event. Take Action Burlington! Let’s take care of our trees and gardens for a greener Burlington. Collectively we can make a difference.